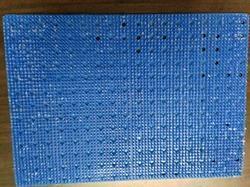 We manufacture Siliocne rubber sheets and Mats for Opthalmic applications. 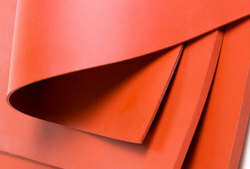 Owing to our diligent professionals, we are able to offer our clients a broad assortment of Silicone Rubber Sheets. Patrons can avail these seals at a market leading price. These seals are offered in varied specification to cater the diverse requirements of our esteemed clients. Our U & V Seals are developed using imported components and advanced technology. This seal is extensively demanded in varied industries for water purification. Polyerubb Industries is known manufacturer and supplier of a quality assured gamut of Silicone Sponge Sheet, which is offered to our clients at market leading price rates. 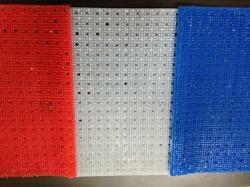 These products are provided by us in various sizes and thicknesses. The qualitative features of our products like accurate dimensions, smooth finish and superlative physical properties make these the most sought-after product in the market. These products provide non leading, non-toxic and pyrogen-free service. 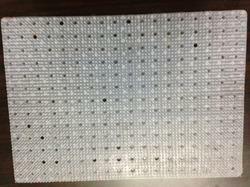 We are one of the reliable and most liked entities are engaged in offering Silicone Ophthalmic Surgical Mats. These are fabricated using superior grade components by implementing advanced techniques and mechanisms in accordance with the industry standards. These are used for sterilization of small ophthalmological instruments that are used in complex operations related to eyes and health care industries. These can be availed at leading market rates and in numbers as per the customer’s requirements. Our offered Silicone Rubber Sheets are very versatile material by the mere fact that the temperature range is more extreme than other synthetics rubber. Moreover, silicone rubber is inert and can be used in medical and FDA environments. In addition to temperature, silicone rubber has superior resistance to water and makes an excellent electrical insulator. It can bear high temperatures and can also UV light resistant and protects from ozone and weathering. 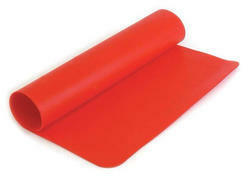 We manufacture Silicone rubber sheets from 2 mm to 25 mm thickness and with 1 Mtr , 1.2 Mtr and 1.5 Mtr width respectively . Polyerubb industries offers Silicone Rubber Sheets which are commonly used for tipping raised graphics, hot stamping broad areas and applying heat transfers. United silicone offers a wide variety of silicone rubber materials to meet requirements for heat tolerance and thermal conductivity. 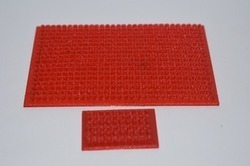 Our offered surgical Silicone Mats that is widely used in health care industries. These are flexible sheet of silicone to keep delicate surgical instruments firmly and safely in place, even during the most critical operations. It holds instruments in convenient positions, and eliminates most of the dropped instrument, re-sterilization problems. Furthermore, these are available in white, blue, transparent or in any other colors as per the requirement of the customers.